Before you get start with any big projects, start with basic maintenance.It is important that you keep not only the inside of your home fresh and clean but also the outside of your home. You can start by mowing the lawn, trimming overgrown shrubs, applying a fresh layer of mulch to garden beds. Just like I spruced up my exteriors today, you wouldn’t want to show up to a job interview wearing shorts and flops right? 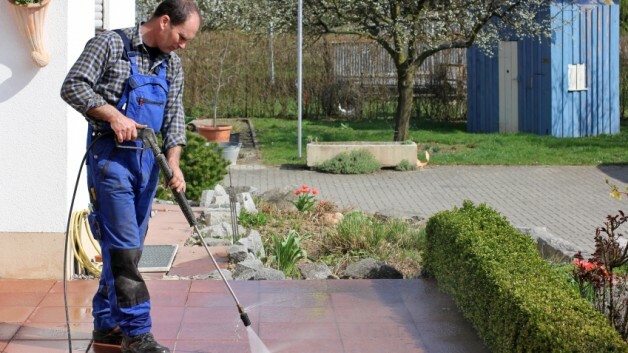 That is why I am wearing a suit today, I wanted to tell you that the first thing you want to do is power wash your house, get all the dirt and cobwebs off of it and the what you want to do is see what kind of condition your paint is in. 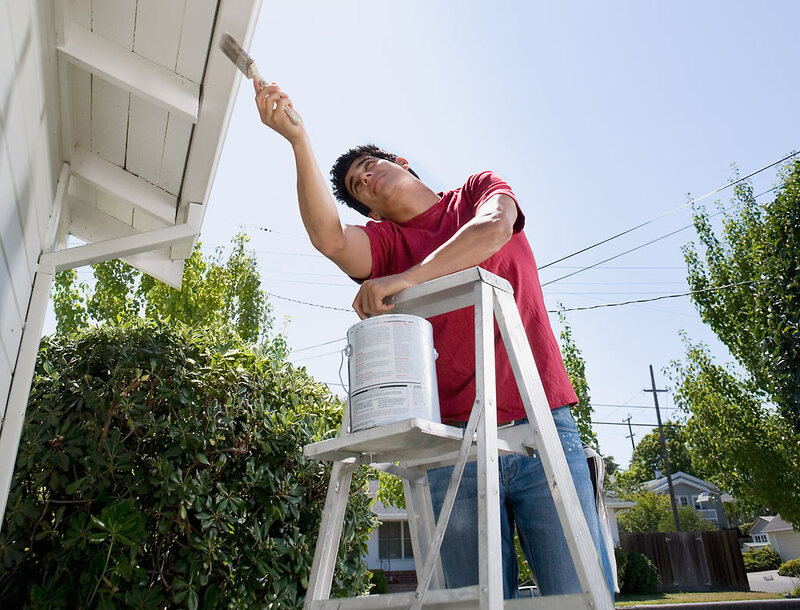 Many times what you can do is paint your eaves, paint them a high bright white color or something close to that tone so they really stand out! You still think the house needs more work done, then just paint the exterior you don’t need to paint the whole house. Moving forward what buyers really pay attention to when looking at the value of your home is the condition of your roof. If you are one of those individuals who have a life-time roof you don’t need to worry about this. However, if you composition shingle or something similar to that and your roof is more than 10 years old, you will probably going to want to re-roof .If you contact a professional to do this usually for the 3 dimensional composition shingle your looking at $75 including installation for about every 100 square feet. So all these fixes will improve your property anywhere from 2%-5%. It can cost you a few hundred dollars if you are a do it your self person. If you get a professional to do the work it can cost you around $7500 depending on the size and condition of your home. You can search for roof replacement services at Sears where they offer the right roofing product for your budget, free in-home consultation and manufacturers backed warranties. And of course you can also go to your local Lowes Roofing Supplies or Lowes for any home exterior supplies! We are really happy to provide you with these tips and give you with much more, so we can help you build equity in your home so look out for The Hanover Group and Raoul Amesuca !